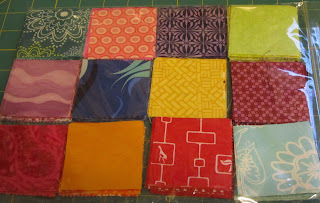 I've managed to do some more cutting for the octagonal orb quilt I'm planning. 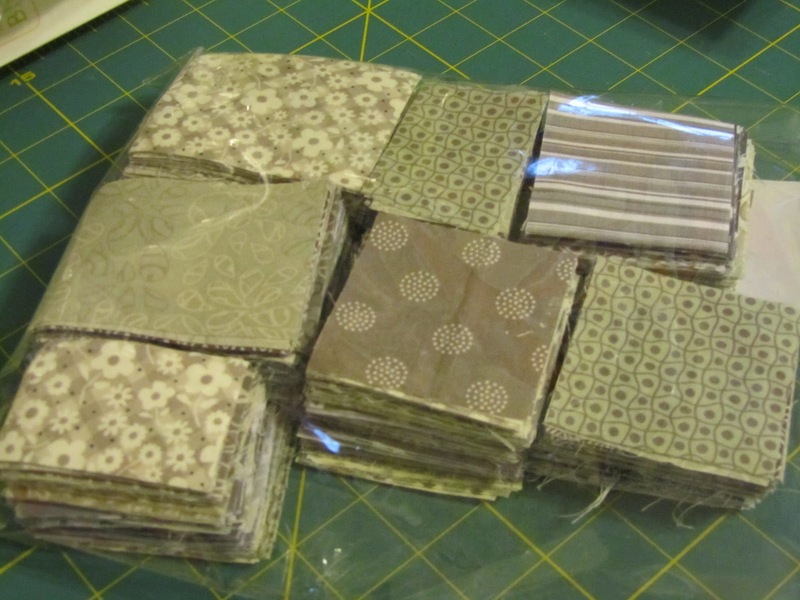 I cut up the 30+ different grey and white fabrics into squares and rectangles. 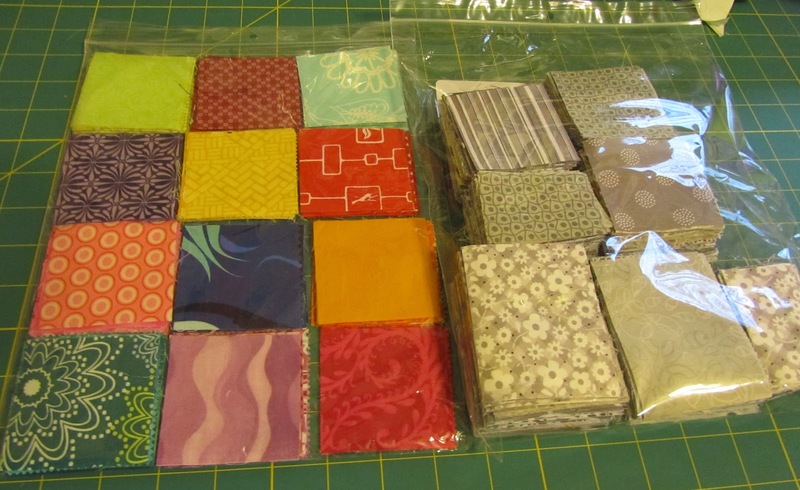 I also began going through my stash and arranging pieces of 2.5" squares into color groups. I need 24 for each block. 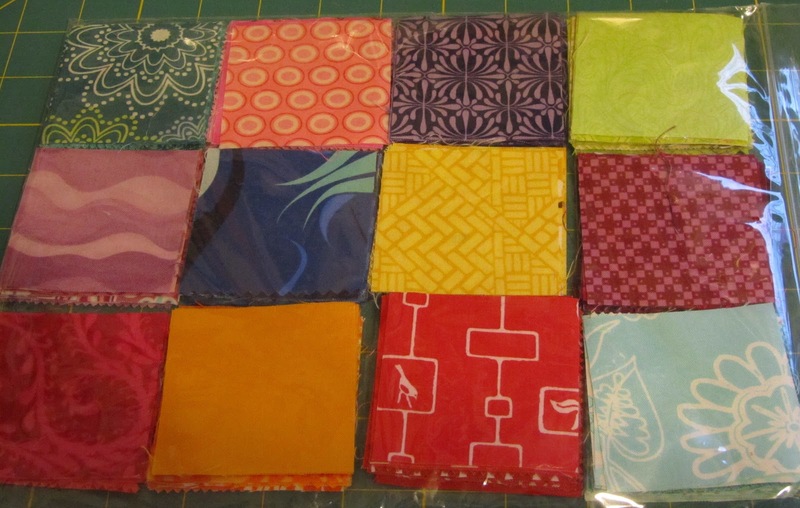 For some colorways I have as many as 15-20 different fabrics. For some, I only have between 4-8 pieces. I was hoping not to repeat any fabrics, but I may have to in some blocks. I'll probably raid my aunt's stash and see if she has any small pieces of fabric that I could add here as well, then I'll have to address how many blocks I'll make and using what colors. I have everything in plastic bags, as you can tell, all ready to take to retreat next month! 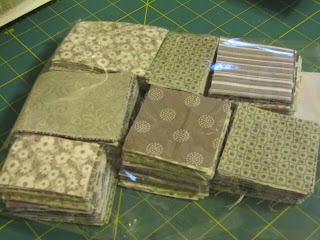 When you put the fabrics against the grey fabric you can see how it really pops. I think I'm really going to like this quilt.